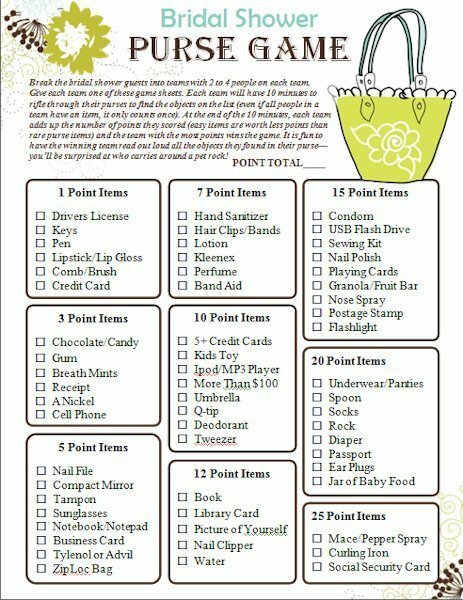 Find out what your guests are toting around in their purses with this fun and free bridal shower game! Guests are broken into teams and given time to rifle through their purses to find the items on the list. At the end of the game, have them read out loud all the stuff they found. You'll be surprised who carries around a pet rock! 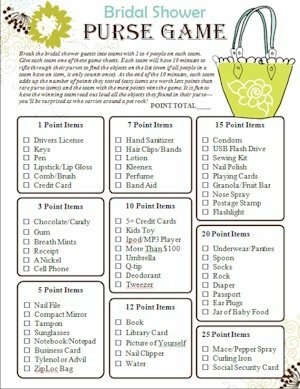 Download the Bridal Shower Purse Game today!